This attractive pyramid is sure to please your recipient. The Pellan Pyramid is made of optical crystal and starts with an inverted base that rises outward to form the pyramid. 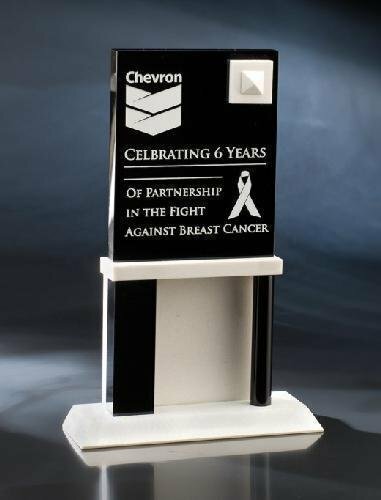 It ends with a blunt peak that adds facets to the sides of this magnificent award. The Pellan Pyramid is available in three sizes. 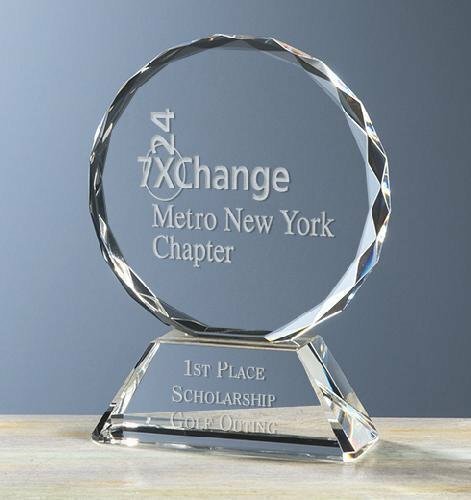 This beautiful award features faceted optical crystal with a second etching area included to expand your message. Available in three sizes. Packaged in an attractive presentation box. A simple but elegant award. Its pentagon shape gives it a classy look that no other award can give. 3" x 3 1/2" x 2 1/4"
4" x 3 1/2" x 2 1/4"
5" x 3 1/2" x 2 1/4"